Each and every one of us is driven by our past, present or the unseen future being (positive or negative) depending on the individual choices we make. “He who controls the past also controls the future”. However, this book enlightens our mind, refreshes our thoughts, reshapes our behaviour and empowers us to take control over our past in order to create the future we desire. 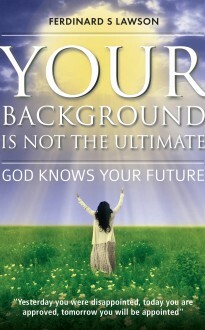 As you read this book, you will discover that it is to your benefit to let go of any past hurts, resentment, bitterness and disappointment and to depend on God who is able to turn your negative situation into positive.